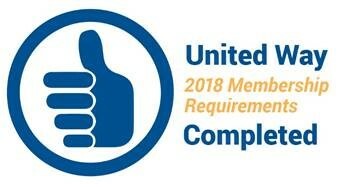 United Way is advancing the common good by maintaining programs that provide food, shelter and personal safety. As of June 8, 2017, we have funded recovery efforts in 24 households located in Grant, LaSalle, Rapides, and Vernon parishes. The primary use of funds has been to purchase materials and labor for much-needed repairs to roofs and to replace moldy drywall. Most of the households we have helped were those of elderly and/or disabled homeowners who were unable financially or physically to make repairs themselves. In some cases, homeowners had made some repairs and were unable to complete them alone, and our assistance completed their recovery. Our Unmet Needs Committee is itself a coalition of several agencies: United Way of Central Louisiana, the Louisiana Chapter of the American Red Cross, the Rapides Parish Office of Emergency Preparedness, Region 6 of GOHSEP, the pastors of two local United Methodist Churches, and the Central Louisiana Chamber of Commerce. We have been able to secure funding from UMCOR, the United Methodist Committee on Relief, to assist with 24 households up to $3,000 per household. In cases where the total need was above that amount, we have used Red Cross and other funds to complete the work.